A Poet, a Painter, a Musician, an Architect: the Man Or Woman who is not one of these is not a Christian. In this chapter, Frye explains Blake’s views about art in general and specifically about visual art. 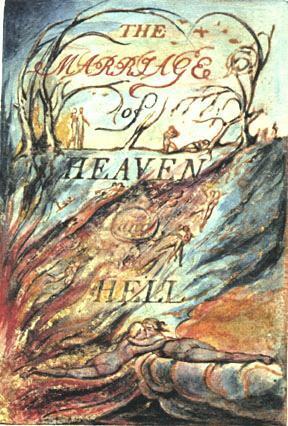 Blake was a practicing artist which distinguishes him from other thinkers who otherwise had similar views. His views about art are highly developed, central to his thought, and distinguish him as a thinker. For Blake, art stabilizes our experience by removing it from the world of time and space where everything is necessarily blurred. It does not seek to escape from reality but to perceive it clearly and recreate it as a permanent and living form. Christ brought no new doctrines: he brought new stories. He did not save souls; he saved bodies, healing the blind and deaf that they might hear his parables and see his imagery. He stands outside the history of general thought; he stands in the center of individual wisdom. Some people have knowledge without wisdom, which means they possess an unorganized collection of information. Wisdom takes knowledge, abstract or otherwise, organizes it according to a grand pattern, and fits it into a universal imaginative vision. We cannot be satisfied by acquiring knowledge until we have a universal vision that it all fits in. And so Blake is clear that one cannot be a true Christian without being an artist. 2. Art builds up a permanent structure above time. Culture or civilization is the totality of art, and art is every worthwhile task done well. Though culture supports society, society, being fallen, constantly resists and attacks culture. Art is ornament, it requires and manifests a freedom above the restrictions of necessity, but the fallen world attempts to eliminate all ornament and to bind people in the chains of necessity. People can only achieve happiness by being artists, that is, by living a free and creative life. Compulsion cannot result in order because it develops out of anarchy which itself develops out of Selfhood or self-absorption. 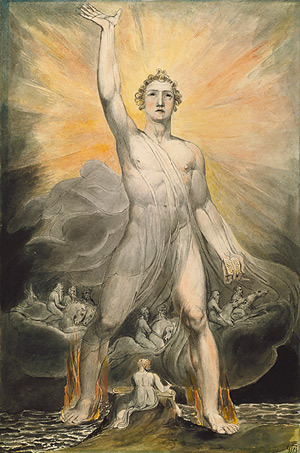 So divinity is the origin of inspiration; art arises from inspiration; culture and civilization are built up by art; and culture, being the totality of eternal imaginative acts, builds up a permanent structure above time called Golgonooza in Blake’s mythology. This entry was posted in Blake, Fearful Symmetry, Guest Bloggers on October 26, 2009 by Guest Blogger. But as only the worst of men would torture other men in hell endlessly, given the power, those who believe God does this worship the devil, or the worst elements in man. 1. Evil is turning away from the imagination and restraining action. We now come to Blake’s ethical and political ideas, which, like his religion, are founded on his theory of knowledge. It is impossible for a human being to live completely in the world of sense. Somehow or other the floating linear series of impressions must be ordered and united by the mind. One must adopt either the way of imagination or the way of memory; no compromise or neutrality is possible. He who is not for the imagination is against it. The negation of the imagination can also be thought of as a perversion of it. A perverted imagination descends quickly into either fear or cruelty. Cruelty is mischievous curiosity, and fear “is not so much the horror of the unknown as a fascinated attraction to it.” In society, the cruel become tyrants and the fearful become victims. Imaginative people are rare enough that history in retrospect looks very much like an unchanging parasitic relationship between tyrant and victim, a relationship supported as much by the cowardice of the victim as the cruelty of the tyrant. 2. State religion is that of the self-righteous prig who is the Prince of this world. The source of all tyranny is not in the temporal world, but in the sense of “a mysterious power lurking behind” powerful people. Generating this sense of mystery is the work of state religion and the caste of priests who administer it. So as pernicious as tyrants are, we cannot end tyranny by overthrowing tyrants. Tyranny is founded on false religion and the only cure for it is true religion. You can tell false religion because it posits a God “who is unknown and mysterious because he is not inside us but somewhere else: where, only God knows. Second, it preaches submission, acceptance and unquestioning obedience.” False religion is state religion and exists to rationalize power, but it is constantly under attack by the imagination. The imagination causes false religion to constantly alter and solidify its form and eventually can succeed in forcing false religion into a consolidation of error, which is a perfect negation of truth. This consolidation of error makes false religion much more vulnerable than would the vagueness and fog which are its preferred anti-imaginative weapons. This God is good and we are evil; yet, though he created us, he is somehow or other not responsible for our being evil, though he would consider it blasphemous either to assert that he is or to deny his omnipotence. All calamities and miseries are his will, and to that will we must be absolutely resigned even in thought and desire. The powers that be are ordained of him, and all might is divine right. The visions of artists and prophets are of little importance to him: he did not ordain those, but an invariable ritual and a set of immovable dogmas, which are more in keeping with the ideas of order. Both of these are deep mysteries, to be entrusted to a specially initiated class of servants. He keeps a grim watch over everything men do, and will finally put most of them in hell to scream eternally in torment, eternally meaning, of course, endlessly in time. A few, however, who have done as they have been told, that is, have done nothing creative, will be granted an immortality of the “pie in the sky when you die” variety. 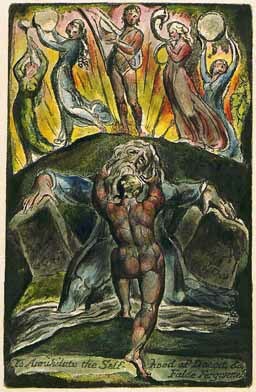 For Blake, engaging in good vs. evil battles, whatever one’s conception of good and evil, is an expression of a death impulse. Life requires a battle, but it is a battle between truth and error. 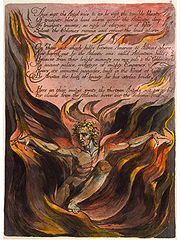 Satanism, in Blake’s time, was most perfectly expressed as Deism, characterized by a belief in the physical world as the only real one and an almost enthusiastic resignation to the conditions and restrictions the physical world imposes on human life. Though contentment seems like a reasonable approach to life, it fails spectacularly in practice, leading to hysteria and warfare. Furthermore, the imagination can never accept the fallen world that it finds itself in. This entry was posted in Blake, Fearful Symmetry, Guest Bloggers on October 20, 2009 by Guest Blogger. Some years ago one of Frye’s former students, Don Harron, sent me a copy of My Frye, His Blake, saying that it had been rejected by a university press because it was not academic enough. Harron’s summary of Frye’s Fearful Symmetry, however, was intended not for an academic audience but for the common reader. 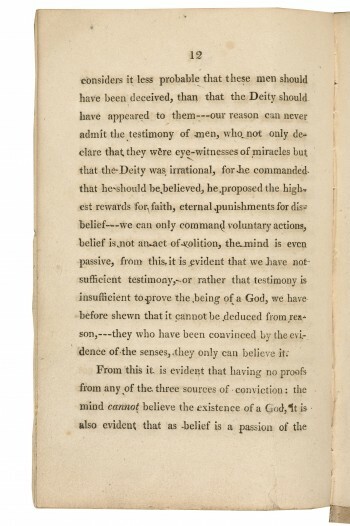 Harron calls his 279‑page summary a down‑sizing of Frye’s complicated and sometime difficult exposition of Blake’s prophecies. My Frye, His Blake is an abridgement of Fearful Symmetry. It is not so much an effort to simplify Frye as to make him more accessible to the nonspecialist by presenting, in Pound’s phrase, the “gists and piths” of Frye’s book––a concentrated form of its argument, combining his own summaries with Frye’s words. I’m hopeful that it might yet find a publisher. To deal first with that somewhat presumptuous and proprietary title: I am one of Northrop Frye’s former students, but can lay no special claim to him. Like James Hilton’s fictional “Mr. Chips,” he and his wife Helen remained childless throughout their lives, but bred thousands of devoted, surrogate progeny like myself, who considered them both as role models during that green island in our lives we call college days. I was heartened by the announcement that all of Frye’s literary output is to be re-issued in a thirty‑volume collection. At the same time I worried that his legacy might be confined to academic circles, and miss the larger public he freely sought during his lifetime. This attempt of mine to summarize the first of his many books may be construed by some as a kind of Blake for Dummies, but that is not my intention. The origin of My Frye, His Blake stems from the first essay I ever wrote for the great man back in 1946. I forget the subject of my paper, but I will never forget the mark he gave me. It was a C‑minus. He added the words: “This is mostly B.S. , but you do have a gift for making complex ideas simple.” The latter half of that cryptic statement is the reason for this book. I was a freshman at Victoria College, University of Toronto, in 1942, but since I was enrolled in a course known as Sock and Fill (Social and Philosophical studies), I didn’t have any lectures with Northrop Frye that first year. It was months before I got to hear him in a public lecture on “Satire: Theory and Practice.” I sat beside two nuns from St. Michael’s College who rocked back and forth with delight as Frye quoted Pope and Swift and Dr. Johnson and added more than a few ripostes of his own. They nearly rolled in the aisle when he quoted Dante reaching the dead center of evil and passing through the arse of the Devil to the shores of Purgatory. When I returned to Vic in 1945 after two years’ undistinguished service in the RCAF, it was general campus knowledge that the book Northrop Frye had been thinking about and writing for more than ten years was on the English poet and engraver William Blake (1757–1827). Fearful Symmetry is considered by many to be the most complex of Frye’s writings. 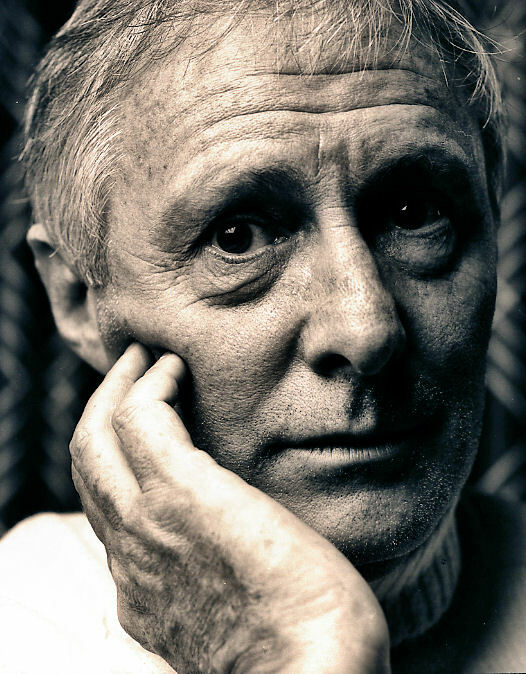 It was his second book, the Anatomy of Criticism written ten years later, that gave him his international reputation as a literary critic. When I took courses with him in Spenser and Milton during my undergraduate years 1945–48, he was in the throes of preparing the Anatomy, and a good deal of that book came out in his lectures to us. This entry was posted in Blake, Bob Denham, Fearful Symmetry, Memoir on October 15, 2009 by Bob Denham.